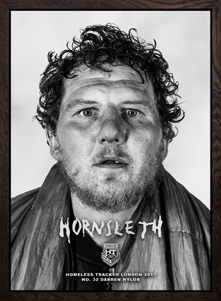 ‘The Hornsleth Homeless Tracker’ (HTT), is the new major conceptual artwork, two years in the making, by Danish provocateur Kristian von Hornsleth. 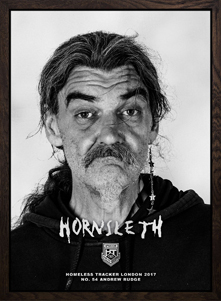 ‘The Hornsleth Homeless Tracker’ is an ethical boundary smashing work, which fuses homelessness, privacy invasion, inequality and reality TV, with present day cultural decadence and interactive conceptual art. 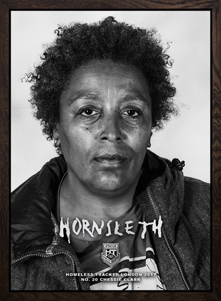 The HHT project will follow Hornsleth as he buys homeless people from the streets of London and sells them as art works to private collectors. Each Homeless, has been fitted with a tracking device allowing their owner to follow them 24-7 via a private app, effectively converting the homeless into a real-life Pokémon Go or human Tamagotchi. The public will also be able follow the struggles of their favourite homeless characters through twitter, Instagram, Facebook and tinder. Meanwhile, each owner will receive a real gold portrait of their homeless. 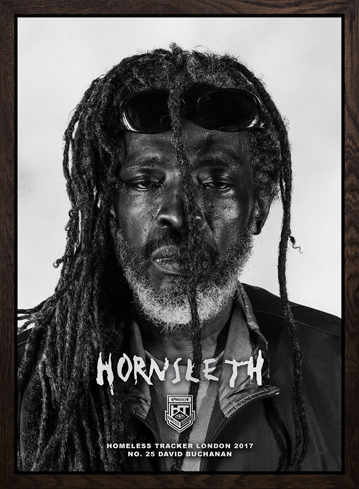 ‘The Hornsleth Homeless Tracker’ is the long-awaited follow-up to Hornsleth’s 2006 controversial conceptual art piece, ‘The Hornsleth Village Project’, in which Hornsleth made a hundred impoverished Ugandan villagers change their name legally into ‘Hornsleth’ in exchange for livestock animals. 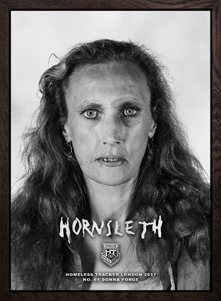 ‘The Hornsleth Village Project’ manically celebrated the evils of marketing, advertising, branding and western aid policy, while cementing Hornsleth as an ethical boundary burner. 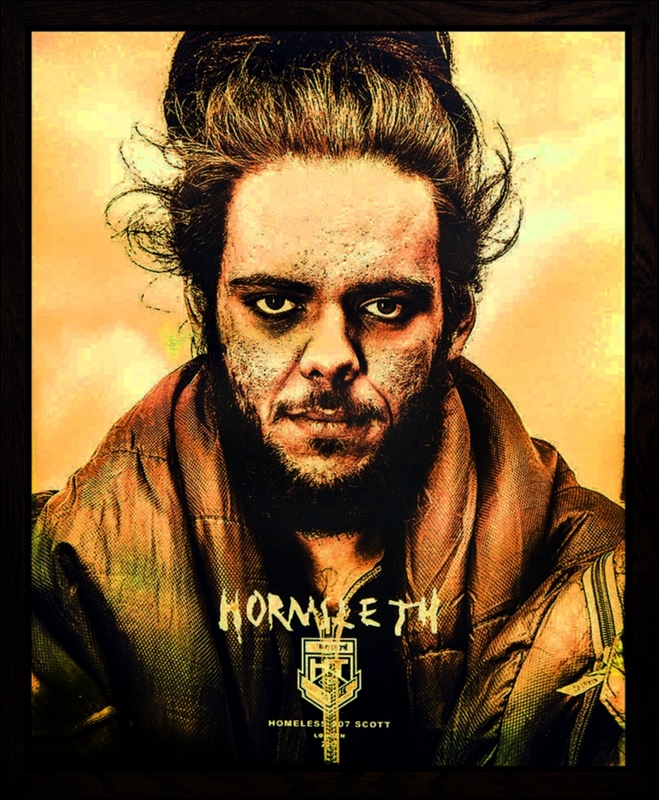 'The Hornsleth Homeless Tracker' treads familiar ground by cynically celebrating the absurdity, inequality, superficiality and decadence of contemporary culture. The project is a manic celebration of the absurdity of our culture, drawing inspiration from diverse subjects such as The Kardashians, Pokémon Go, branding, and the NSA, creating an interactive cultural melting pot, in which all areas of society can pour in to and interact with. Where can I see the Project? The HHT project will be exhibited in London at a location soon to be announced. Visitors will find the original portraits along with other project information. Track a homeless by selecting one of the portraits below. Check out the art work. To view more videos, follow us on youtube and social media.